50:50 Parliament drives this mission by encouraging, inspiring and supporting political engagement, particularly from women. In addition, 50:50 Parliament lobbies Parliament and the political parties to be more inclusive of women. 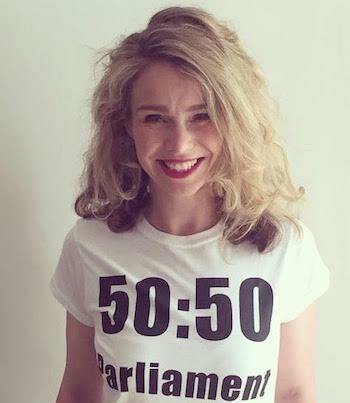 50:50 Parliament was founded in November 2013 by Frances Scott. At that point men outnumbered women 3:1 in Parliament. The institution did not look representative or inclusive; it was lacking women’s experience and talent. Frances felt that this needed to be addressed and started the 50:50 petition at change.org/5050Parliament. This called upon Parliament and political party leaders to do something to ensure a better gender balance at Westminster. Now over 52,000 people have signed the petition. All the main political parties agree that a gender balanced Parliament consisting of around 50% men and 50% women would be more representative and better informed. Since then, The Women and Equalities Select Committee has been set up, and more recently The Commons Reference Group on Representation and Inclusion has been created to examine working practices to ensure that they become more accessible. 50:50 launched the #AskHerToStand campaign in November 2016 and succeeded in inspiring and encouraging women to stand for election and gain seats in Parliament during the 2017 election. This campaign will continue until we have gender balance at Westminster. Dolly Theis has been involved with 50:50 Parliament since 2013. In January 2017, she co-founded the #AskHerToStand campaign with the aim of inspiring, encouraging and actively supporting more women into UK politics. Dolly stood as the Conservative Parliamentary Candidate for Vauxhall in the 2017 general election. She is currently completing her PhD at the MRC Epidemiology Unit in the University of Cambridge. Prior to that, she spent two years leading research into childhood obesity at the Centre for Social Justice Think Tank in Westminster. Her report "Off the Scales: England's childhood obesity crisis" was published in December 2017. Dolly is also Programme Director of the Big Tent Ideas Festival, an Ambassador of Forward Assist - a military veterans charity in the North East, and Director of the Cube Movement - a social network campaign that helps raise awareness about and money for victims of human trafficking. Mojo Abidi was inspired to join the 50:50 team after attending the #AskHerToStand event in Parliament in December 2017. She is passionate about encouraging more women into politics and is proud to be a part of this fantastic initiative. Mojo is a Production Journalist with ITV News Central and is based in Birmingham. She recently graduated from the University of Sheffield but was born and raised in Hong Kong. Annika has been involved with 5050 Parliament after meeting and being inspired by Frances and the campaign at a Feminism in London event in 2013. An experienced social media strategist and published writer, Annika leads on 5050 Parliament’s social media strategy, primarily on Twitter, Instagram and Youtube. Kelly completed undergraduate degrees in Politics and Social Policy and Community Justice and is studying for a Msc in Theraputic Counselling. She works in a role in the Criminal Justice System. Kelly is a long term campaigner on issues such as domestic abuse, road safety and period poverty and runs an organisation called Dartford Deeds Not Words Foundation. Kelly also runs and writes for a political blog called The Avenger. Kelly is passionate about getting more women involved in politics, having run events in Dartford Labour Party she is standing for Borough Council in 2019. Ava is a passionate intersectional feminist activist and graduated from LSE in 2017 with an MSc in Gender, Development and Globalisation. She joined 50:50 Parliament in May 2018 in her role as Ambassador Director. She provides support and guidance to 50:50 Ambassadors to help them spread the word about the campaign. Her professional background is in childcare so she is passionate about valuing the importance of “women’s work” and believes gender balance in Parliament can achieve this. 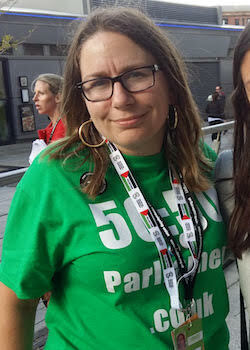 Sarah Tomlin is a former scientist and journalist who joined the 50:50 Parliament campaign as blog editor in 2018. For many years Sarah worked as an editor at Nature magazine, the science weekly, where she edited and contributed stories on everything from astronomy to zoology. As the mother to three young daughters Sarah believes in raising girls to be whatever they choose in life - whether that is a Nobel Prize winner in physics, or a Parliamentary candidate. Dowshan Humzah is a business transformation and digital specialist who has held senior roles with a variety of blue-chip organisations and start-ups. He has been involved with 50:50 Parliament since late 2014, bringing his business sector experience and insights of social mobility and equality to the campaign. Dowshan’s personal background and journey explain his passion for ‘access to opportunity’ particularly for those less-privileged. He has a portfolio career and holds a number of board directorships across business and civil society. Brian joined the 50:50 Parliament campaign in 2015, helping out with data management. Over time the role has grown to include all things tech and digital for the campaign. He also volunteers for Let Toys Be Toys, the GREAT Men project, and DataKind. When not supporting campaigns and charities, Brian has been a programmer, data warehouse designer, website development project manager, and founder of an ethical retail tech startup. Dolly Theis has been involved with 50:50 Parliament since 2013. In January 2017 she co-founded the Ask Her To Stand campaign with the aim of inspiring and encouraging more women into UK politics. Dolly stood as the Conservative Parliamentary Candidate for Vauxhall in the 2017 general election. Laura has been a huge fan of the 50:50 campaign for many years and has joined rallies and events alongside the powerful movement. She also runs the End Tampon Tax campaign which successfully lobbied for an axing of the sexist 5% levy with over 320,000 supporters and achieved unprecedented change to both EU and UK taxation legislation. She sat on the BBC's 100 Women steering committee of 2017, was named one of Cosmopolitan Magazine's social change agents of 2018 and is currently a postgraduate student at St Catherine's College, University of Oxford. She hopes to see more women in parliament so that androcentric laws like tampon tax do not happen again. Period! Siobhan Baillie is Head of Policy for a charity specialising in strengthening relationships and families following a long career as a family law solicitor. Siobhan was elected as a councillor in the London Borough of Camden before standing down in 2018. She stood as the Conservative Parliamentary candidate for Bermondsey and Old Southwark in the 2017 general election. Sonia Adesara is an NHS doctor and a passionate campaigner for equality and women’s rights. She is co-chair of the young Medical Women International Association, campaigning for gender equality within her profession. She has seen how women’s health, and women’s experiences with services, is often not prioritized by our policymakers. She is the communications officer for Doctors for Choice UK, which calls for reform of the 50-year-old abortion act that criminalizes women and obstructs professionals from providing optimum care. She is a committee member of Campaign4Contraception, campaigning against cuts to contraceptive and women’s health services. Elaine is a self-employed consultant who focuses on change and project management. She ran the Liberal Democrat youth and student wing from 2008 to 2010. She stood for Parliament in Poplar & Limehouse in 2015 and 2017, securing the second biggest increase in vote share against Labour in the country for the Lib Dems in 2017. Elaine is passionate about encouraging more women into politics, and has worked hard in her own area to ensure women have the opportunity to learn about campaigning and to stand for local and national government roles. Jane Whild co-leads the Milton Keynes Branch of the Women's Equality Party. She has worked in the health, leisure, financial and higher education sectors. 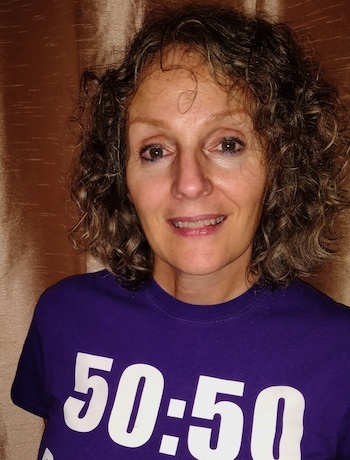 A passionate advocate for equal representation, she works with the Fawcett Society Milton Keynes Group and GirlsCode MK to encourage more women and girls to join 50:50 Parliament or study STEM subjects, particularly coding.